Prepare for me to proclaim my love for some products. Not only did I part with my precious pennies the first time but I did it TWICE and sometimes THRICE because I love them so so much. They are my preciouses. 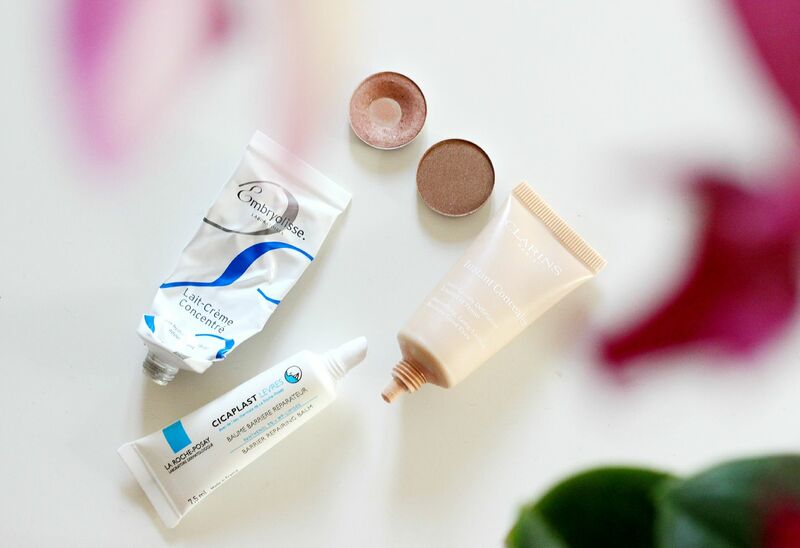 I did a repurchased post ages and ages ago (see that here), and it’s actually one of my most popular posts to date. I get it, seeing what people really really love is one of my favourites as well. I’ve spoken about all 5 of these countless times. Sorry, nothing new here. Two MAC eyeshadows – All that glitters and Woodwinked. I’ve bought both of these three times and I obviously know a good thing when I see it. Ummm, see my recent rave about Woodwinked here. The concealer that you need if you have dry under eyes is the Clarins Instant concealer. Absolutely incredible stuff. I can’t see myself not using this in the future. I just think it covers any dark circles so well, and doesn’t crease and doesn’t make my eyes feel dry. Comes in a 15ml bottle so will last you such a long time. I’ve almost finished my tube (have another in the wings), but I’ve been using it daily for the longest time. Skincare – the La Roche Posay Cicaplast lip balm, because I will never be without a tube. See my full post here. A new staple, but a staple nonetheless is the Embryolisse Lait-Creme Concentre. SUCH a good moisturiser for dry skin. I use it everyday, and have already moved onto the bigger tube. Do you have any repurchased products that you buy over and over again? The peach blush of the summer.